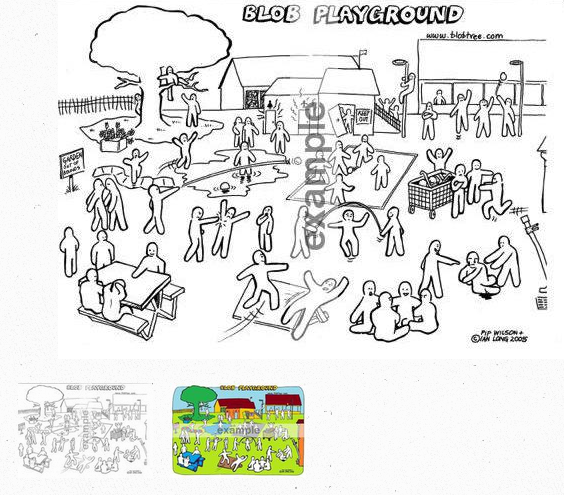 Pip Wilson bhp: Blob Tree - Blob Playground - I use it with adults too ........ great to get humans opening up. Blob Tree - Blob Playground - I use it with adults too ........ great to get humans opening up. "The Blob Playground and Bullying pages have proved particularly helpful. But intrinsic to all Blobs is their lack of specific identity. They are sexless, ageless and without racial characteristics. Love your Blob Tree books and use them with all my counselling clients from 5 up to 95.
who find it difficult to understand how they feel.